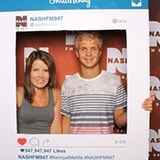 How to Make a Successful Event with a Photobooth Party Engager? Every year, you cannot escape from any parties to throw out to your friends or your family. If you are planning for an amazing party for your child’s 18th birthday or if you are about to get married and still in the stage of planning. Here is an amazing engager that you need to include in your party. I am sure you have already seen this in one of the parties you have attended before. It’s a photo booth. Yes, a photo booth that was improvised, brought mobile and made easier for you to give joy to your visitors. Plan your party ahead and look for the best photo booth party saver! Of course, before you do that, plan your party theme as well. Follow these rules in planning your party. Weddings, birthdays, school or work events, any complicated parties you are planning to have, it’s important to get a theme. Having a theme is one of the most important party engagers. People love to take pictures everywhere especially if you have decorations all around the venue. People need to get dressed according to your theme too. If you have a theme, it’s easier to set up the design and materials for your photo booth. Themes got trendier in parties when Facebook started to get popular and people have their own cellular phones with a camera. People started to post and like other people’s posts and do it again. People get more engaged especially if it is about taking pictures. Just mention the word “groupie” and they will all start to smile and pose. This team gives the best and quality services to make your party successful. They prepare their booth that matches to your theme, accommodates your visitors properly, have a nice photo design and printing quality and most of all, they make sure that your visitors will remember your party just by looking at that picture taken by this team. Help yourself to be worry-free during your party. Setting up a photo booth would be enough to put smiles on your visitors’ faces. Keep them busy at the photobooth as others are still preparing for food or preparing to get dressed. 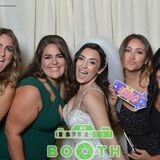 Make every party of yours memorable with Inside Out Photo Booth. They have the best tools and crew to help capture wonderful memories. Call now and plan your party ahead. It is affordable yet offers the best services. And of course, do not forget to prepare your smile and striking poses.